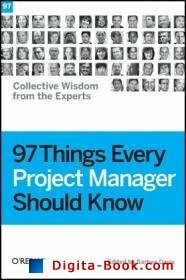 If the projects you manage don't go as smoothly as you'd like, 97 Things Every Project Manager Should Know offers knowledge that's priceless, gained through years of trial and error. This illuminating book contains 97 short and extremely practical tips - whether you're dealing with software or non-IT projects - from some of the world's most experienced project managers and software developers. You'll learn how these professionals have dealt with everything from managing teams to handling project stakeholders to runaway meetings and more. Barbee Davis, PMP, PHR, writes a semi-monthly feature for the Project Management Institute (PMI) international publication, Community Post, in which she guides project managers to more successful projects. She is also an international reviewer for the PMI Registered Educational Provider (R.E.P.) program.